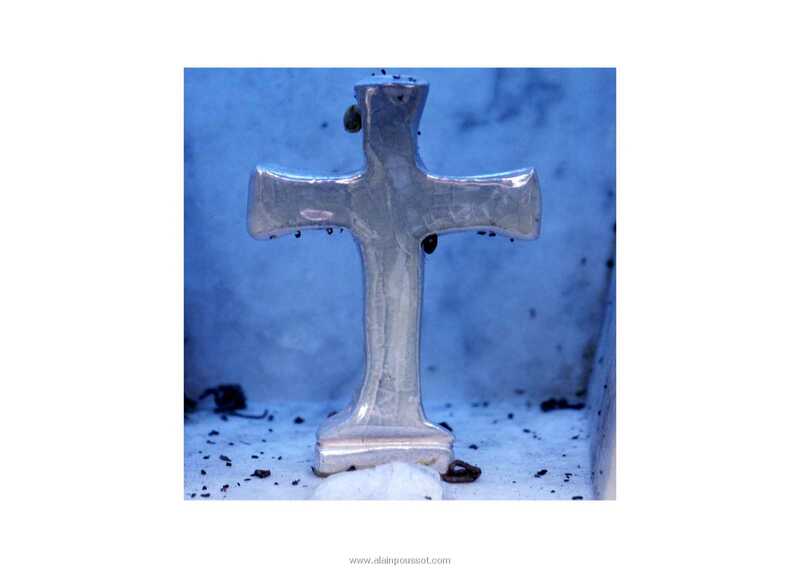 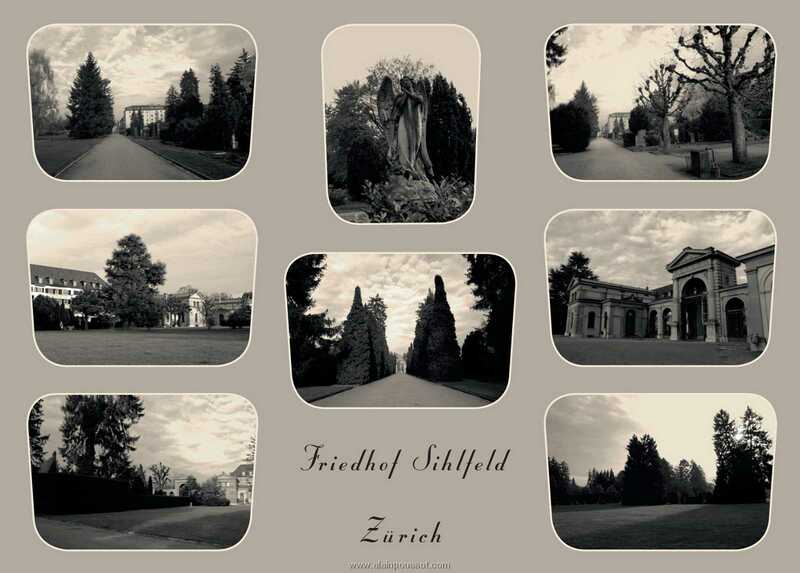 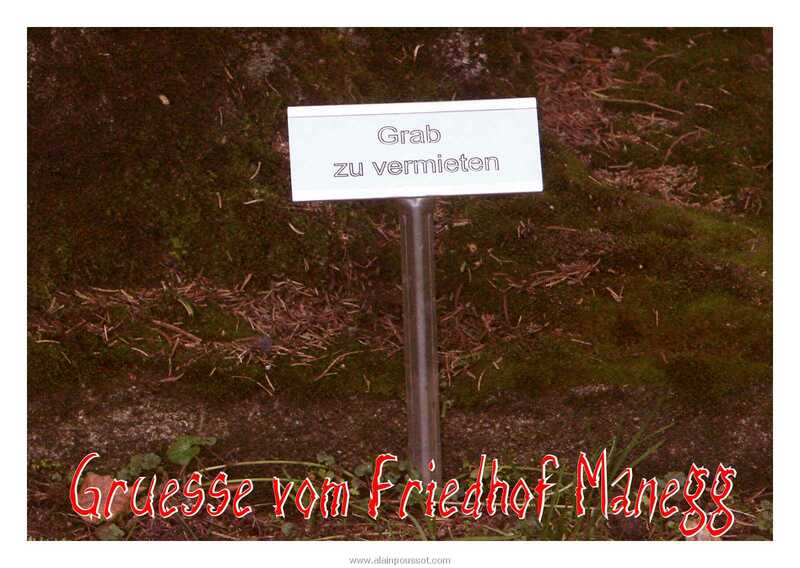 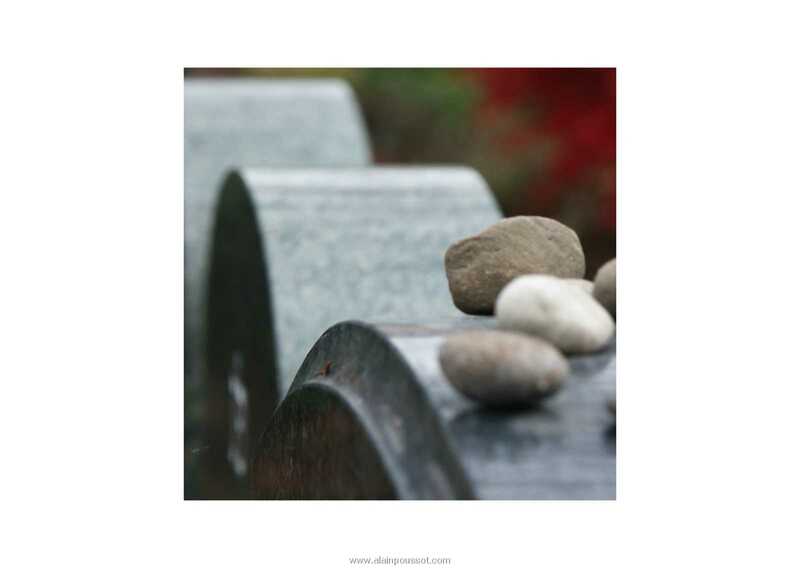 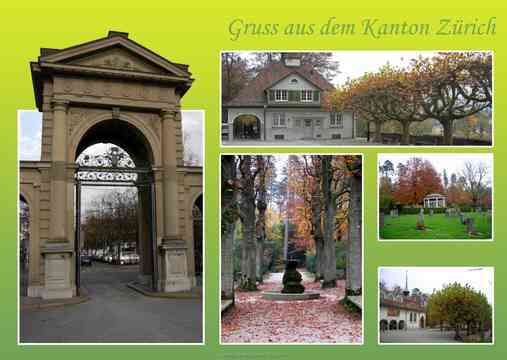 As part of the exhibition Cemetery Design at the Museum Bellerive Zürich from 11.11.2005 to 1.04.2006 these postcards were created and four of the postcards can still be bought at the museum shop today. This work was done in collaboration with Andrea Bühler, a student from HGKZ Style und Design. 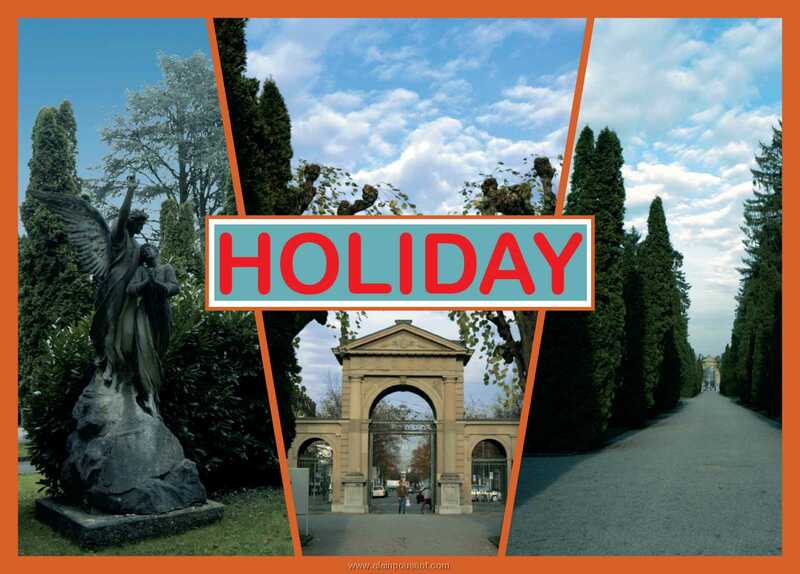 Our hypothesis as a task for the exhibition Cemetery Design was if it could be possible to make pictures of cemeteries in such a way that the style would bring up associations to holiday or resort destinations. We had the common idea from the beginning that a postcard would best resemble the aesthetics of such holiday places. 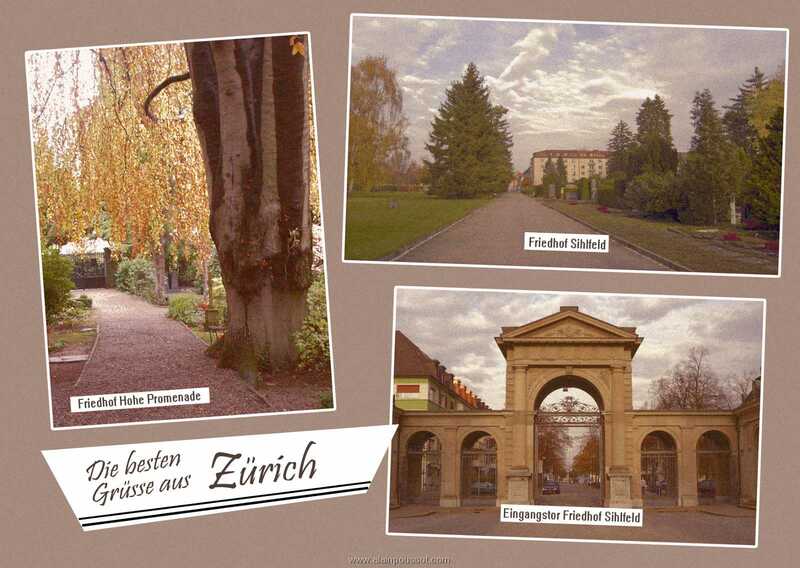 The photos or in this case the content of the postcards have their origin from different cemeteries of Zürich and Winterthur (CH). 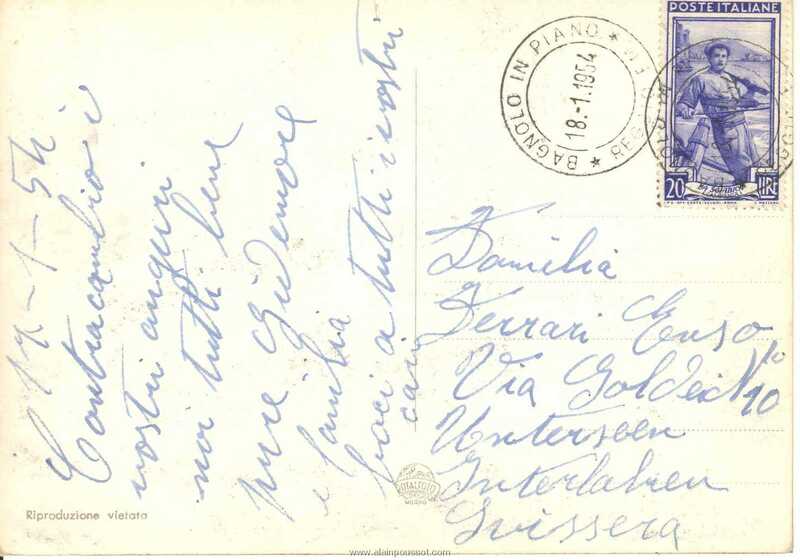 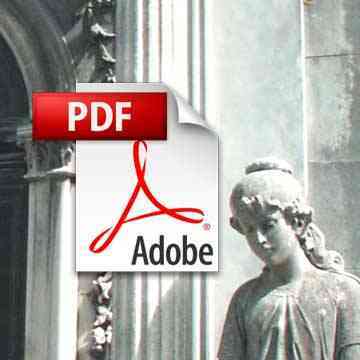 The later processing of the picture contents into picture postcards were done on a computer. 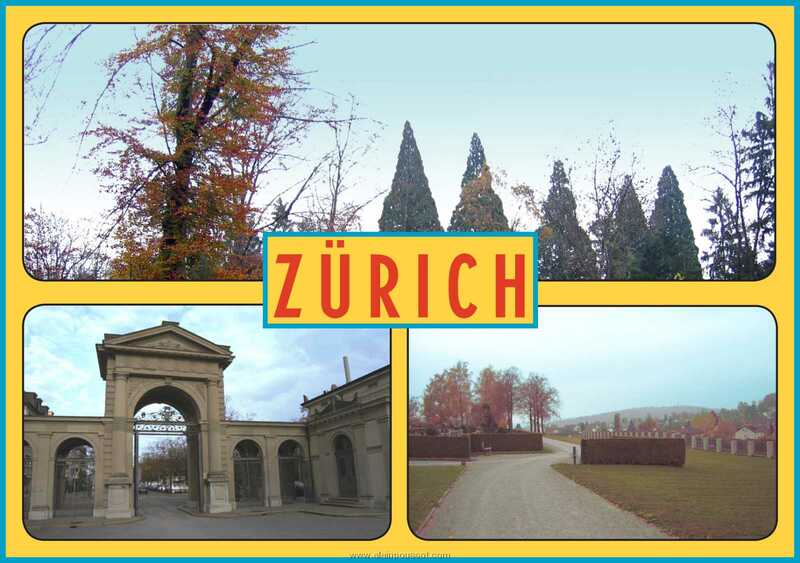 The usage of common postcards designs available came to be handy to create realistic and deceptive postcards which you would send from holiday. 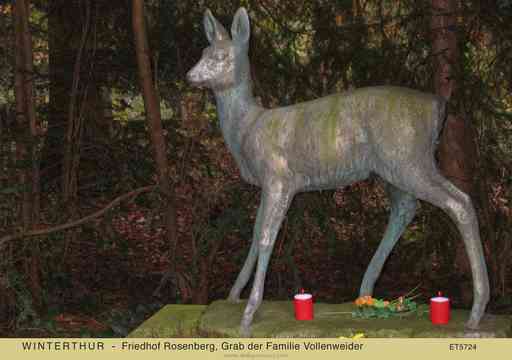 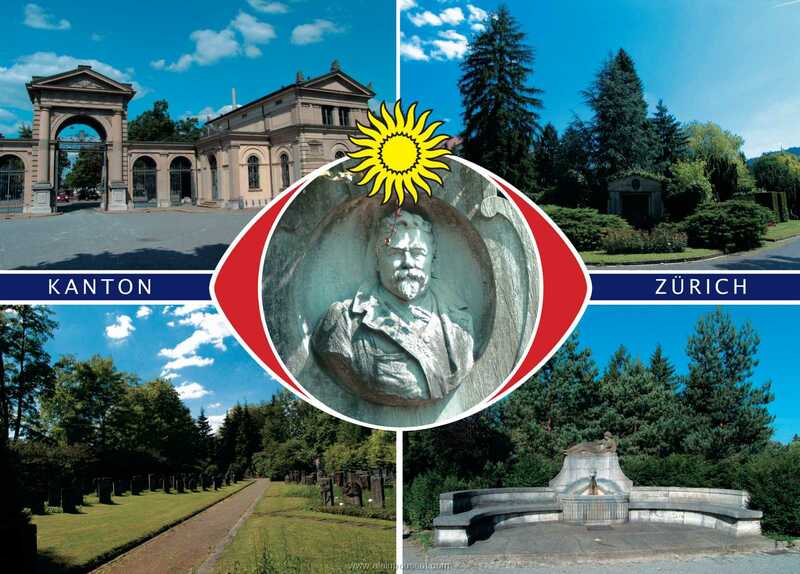 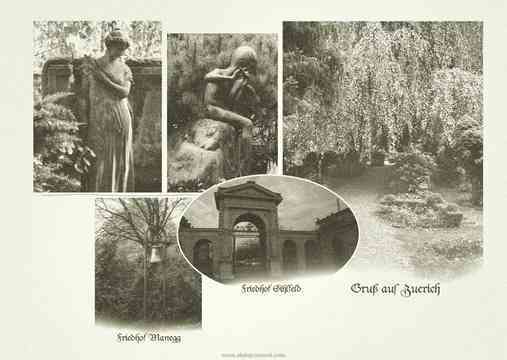 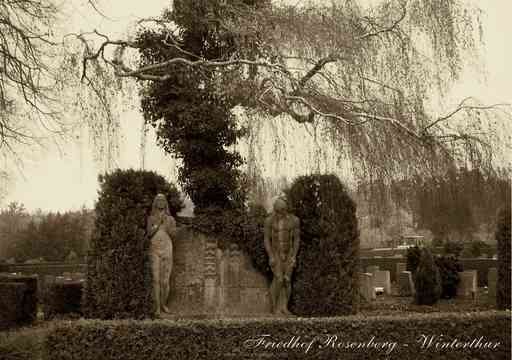 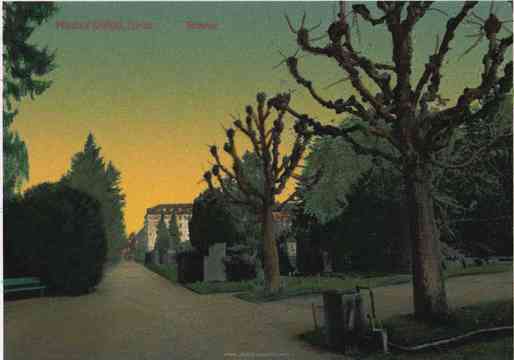 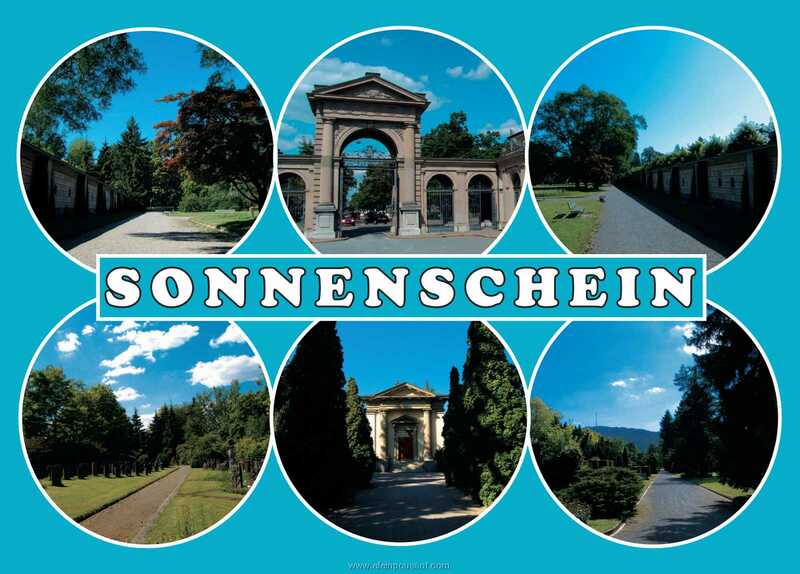 The result of this work convinced the host of the Museums Bellerive in Zürich so much that these postcards became a part of the exhibition Cemetery Design, as well as on sale (still).